Niacin is a vitamin B3 which the body needs to keep cells functioning properly. 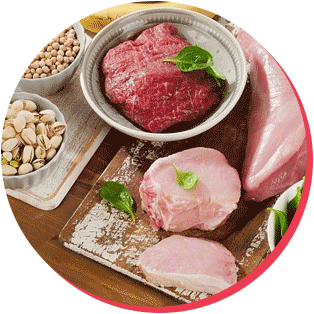 Niacin is involved in energy metabolism as it is part of the process of reducing/oxidizing coenzymes, metabolizing amino acids, and is also used in detoxification reactions for drugs and other substances. Niacin is also used in the therapy process for several conditions. 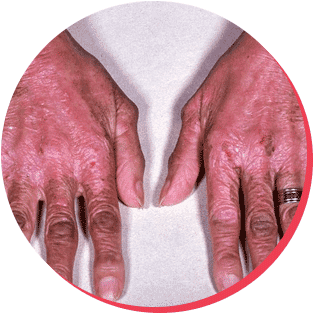 A lack of niacin can result in a disease known as pellagra. Pellagra has been a problem for most of human history and would strike people who ate a diet consisting almost entirely of corn products. These diets would lead to niacin deficiency which causes symptoms such as diarrhea, inflamed mucous membranes, skin sores, weakness, irritability and mental delusions. Niacin is a colorless, water-soluble derivative or pyridine. The carboxyl group in niacin is found at the 3-position and there are a number of forms of niacin. These are nicotinic acid (pyridine-3-carboxylic acid) and nicotinamide (nicotinic acid amide), but there are other derivatives that also show the biological activity of nicotinamide including inositol hexanicotinate. Because of their same biochemical activity niacin, vitamin B3, nicotinic acid, and nicotinamide are terms that are used interchangeably. The human body converts nicotinic acid and nicotinamide into NAD and NADP. These are coenzymes that are used by the body for a number of different oxidation-reduction redox reactions, which are used to keep you energized as well as many other important functions. NAD is needed for DNA synthesis and is also a part of giving proteins the chemical components they need. These transfers can be catalyzed by PARPs (Poly-ADP-Ribose-Polymerases) which regulate the transfer of ADP-ribose from NADs to proteins. Research is still being conducted into how niacin and PARPs function and how they are involved in health and disease. 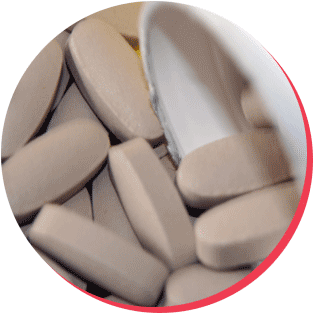 There are plenty of helpful benefits in the body that occur as a result of taking niacin. Niacin is especially helpful at metabolizing cholesterol and lipoproteins. There is plenty of evidence to suggest that niacin improves lipid profiles and that it can reduce vascular disease, making it an effective part of the treatment process for cardiovascular disease. There is also plenty of evidence to show that niacin is able to lower triglycerides and low-density lipoproteins (LDL/”bad cholesterol”) and improve levels of high-density lipoproteins (HDL/”good cholesterol”), as well as an effect on plaque and thickness of arterial walls. Niacin is also able to reduce the concentration of plasma in lipoprotein A, which can slow down the development of coronary heart disease. Many of the changes mentioned above happen in the liver and have an effect on how the liver handles cholesterol, triglyceride, and lipoprotein metabolism. Niacin prevents the liver enzyme that synthesizes triglycerides which lead to lower levels of triglycerides. Niacin also reduces levels of the beta-chain of ATP, another liver chemical that prevents HDL from being broken down and leads to higher levels of HDL. Some studies have shown that niacin has several non-lipoprotein mediated effects including affect the progression and risk levels of atherosclerosis. As well as the favorable benefits relating to lipoproteins it’s also been shown that niacin displays anti-inflammatory effects in macrophages, adipocytes, and vascular endothelium. Niacin also prevents the production of cytokines that lead to cholesterol building up and lining the arterial walls. Preventing the vessel wall from being infiltrated by immune cells also prevents atherogenesis caused by a lack of lipid levels. Updated: Nov 16, 2016 by Sarah Gonzales. Bookmark the permalink. Nicotinic acid was first synthesized in 1867 and it was created by oxidizing nicotine. 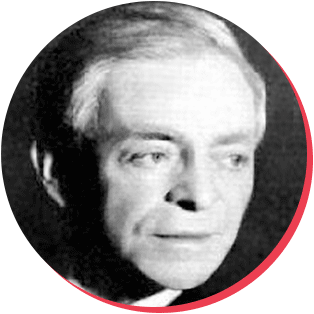 It was then isolated by the Polish-American biochemist Casimir Funk in 1912. Did you know that the benefits of Vitamin B3 include protection against heart disease, heightened energy levels, and better sleep? Niacin B3 is a jack of all trades. The most common niacin side effect is flushing. This is when the dermal blood vessels are left heated and red due to vasodilation. It also causes a burning and tingling sensation. These days you’ll be hard pressed to find a case of niacin deficiency in a developed country. It mostly only affects people living in poverty or people suffering from alcoholism and malnutrition. There are several different forms of niacin including tablets, capsules, and extended release versions of these tablets and capsules. Always take niacin as directed, sometimes with a low-fat snack at bedtime. It’s a good idea not to rely on supplements and instead get all your niacin needs from foods. Here is a list of everyday foods that are rich in niacin (vitamin B3).